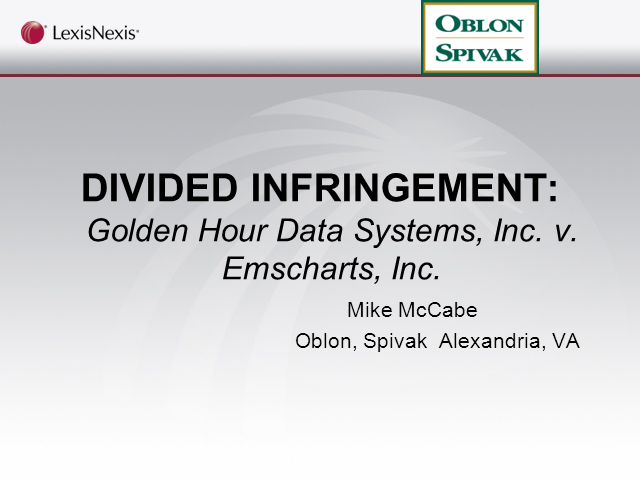 The Supreme Court’s recent decision to hear Global-Tech v SEB and the result of Golden Hour Data Systems v emsCharts and Softtech at the Federal Circuit have brought the topics of induced and joint patent infringement to the fore. Both cases will have major implications for the way courts assess these two doctrines. This webinar will provide background on the cases and on the topics of indirect and divided infringement generally, with a focus on post-grant procedure options for fixing claims prior to assertion, including patent reissuance and re-examination.